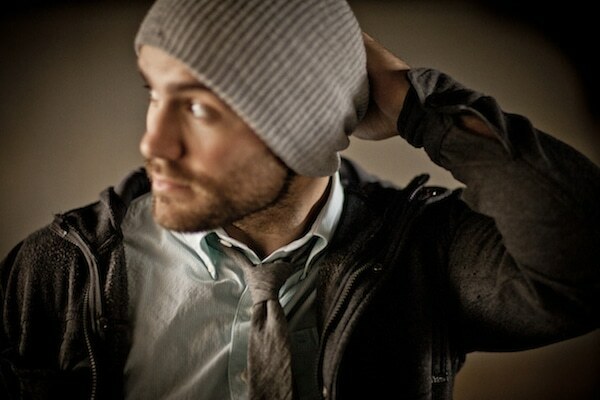 Anthony Mossburg has opened for acts like Switchfoot and TobyMac. His self-titled album reached #8 on the Singer/Songwriter category of iTunes. You can check it out here. AMBITIONS: I believe creativity is an extremely special thing. Being able to create something out of nothing will never cease to blow my mind. My ambition comes from believing I have that ability for a reason, and running with it as far and as hard as I can. Regardless of circumstance or outcome, I believe this is what I’m supposed to do, so I do it as best as I can. TURN–OFFS: Arrogance or trying to be something your not. I feel like I can tell when someone is being themself. Especially through music, originality can be rare in todays music. TURN–ONS: Honesty, humility, and kindness. Those qualities have become so rare that when you find them now they are like a breath of fresh air. DREAM GIG: My dream gig would definitely be a show with Ben Howard. By far my favorite artist and I couldn’t imagine a better live show to be a part of! CRAZIEST PERSON I KNOW: The craziest person I know is definitely my older brother Nick. He is crazy in a good way, he does whatever is takes to to let people know he cares about them, but also definitely knows how to have a good time and make people laugh. One of the funniest and craziest people in my life for sure! 5 PEOPLE I’D MOST LIKE TO HAVE DINNER WITH: Dave Chappelle, Mat Kearney, Kevin Hart, Ben Howard, and Stevie Nicks. MY FAVORITE CONCERT EXPERIENCE: When I was first starting out I was asked to play a concert for a youth group. When I arrived I realized that the “youth group” was actually just a small group of 5 year olds. In the middle of my second song one of the kids starts punching me in the shoulder and chest screaming, “play something else”. All of his little demon buddies decide to join in the chant for a few minutes before I stop and ask what they would like to hear. They then begin to chant, “BLUES CLUES! !”, over and over. After explaining that I didn’t know any Blues Clues songs they went and found a small CD player. I spent the next 30 minutes listening to Blues Clues with these kids because the person who booked me had left as soon as I got there and I was now the only adult there. I was then handed a 10 dollar bill for gas and told to how much my services were appreciated. I choose this story for a couple reasons. 1.) Although at the time is wasn’t pleasant at all, now it is extremely funny to me, and 2.) It reminds me of how tough this road can be, and that there will be up’s and down’s as I continue through, but hopefully never another situation as bad at that one. If I can make it through that, I can make it through anything. I WROTE THIS SONG: I wrote this song about Johnny Cash, but also about myself. I had just finished watching the movie “Walk the Line”. I started thinking about how Johnny Cash was rebellious, more on the wild side, and did what he wanted. June seemed to be more on the conservative side, more traditional, and more of a rule follower. The more I thought about it, the more I saw myself the same way I saw Johnny Cash. Most times I don’t really feel like I fit in, when it seems like everyone else does. I see myself as more of the outcast, rebel. I see almost everyone else as people who fit in, people who are all on the same page. I did quite a bit of research on Johnny and June, so some of the lines in the song you might not pick up on unless you are very familiar with them. Such as, “You’re dressed light blue”. June’s favorite color was blue. She wore a blue dress on the day of their wedding. So I tried to write the song from my point of view, but stay true to who Johnny and June both were. I end the song with the fact that even though they were such polar opposites, they worked together perfectly. I’m going to attach the picture I used a lot while writing this song, hope you enjoy it.